Billy Joe Saunders return to the ring has been made official, as he and Shefat Isufi have made their fight official. On Monday, Saunders’ promoter, Frank Warren, announced that Saunders and Isufi will battle for the interim WBO super middleweight title on May 18th, after a fight for the undisputed title was postponed due to the former champion, Gilberto Ramírez claiming he never gave up the title. The fight will take place in Saunder’s home county of Hertfordshire at the 6,700 seat Lamex Stadium, home to the Stevenage FC, a lower-tier soccer club. 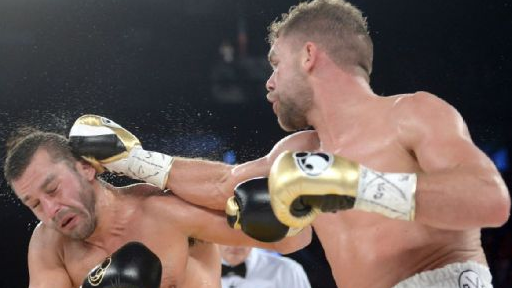 Saunders returns to championship contention as the number two ranked contender at 168 pounds, fighting for a title for the first time since being stripped of the WBO middleweight crown in the fall of 2018 because of a failed drug test. While Saunders could have had a rescheduled fight with the current champion Demetrius Andrade, but decided to move up in weight, following a suspension for the aforementioned drug test.